Last man standing meets scavenge and survival tactics in Daybeak Games' battle-royale shooter. Parachute into a fast-paced, guts-or-glory survival experience as you join 149 other players in a massive, online arena to do battle until only one is left standing. Hit the ground empty handed and scavenge weapons and armour from abandoned buildings and airdrop crates. Commandeer vehicles to cover ground and hunt down your opposition before a fog of toxic gas envelops the map. Play by yourself, with everyone duking it out for themselves, or prowl in teams of two or five as you work towards the map's central safe zone, Pleasant Valley. 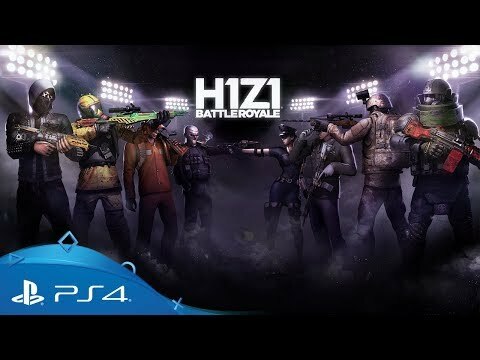 H1Z1 has been redesigned specifically for PlayStation 4, with a larger weapon arsenal and fully reworked UI among the new features. 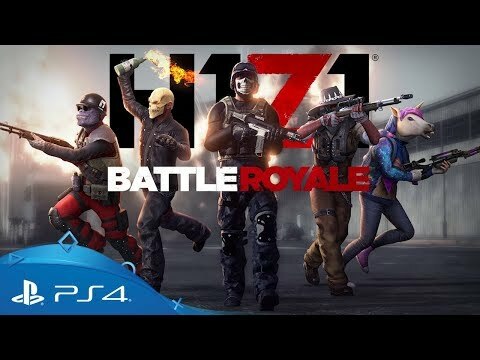 Pick up exclusive gear and skins with the PlayStation Plus Launch Pack, get massive discounts on H1Z1 Founder's Packs and unlock an exclusive tier of rewards in H1Z1's seasonal Battle Pass. Grab a police car, jeep, truck or ATV to cover ground at speed, or simply plunder fuel and parts from those you find and keep your enemies on foot. Pick your weapon of choice from crude clubs and bats, to axes, gas grenades, pistols, machines guns and more. Go it alone as a sole survivor or team-up in groups of two or five to capture vehicles and weapons and hunt your enemies together. Download now for free and play today. This includes all main modes and all the latest patches and features. Get the 'Animated Stars' shotgun, 'Rainbow Unicorn' outfit, 'Blue Splatter' ATV skin and three Arsenal Crates. Get the 'Animated Flame' AR-15, 'Flaming Skull' outfit, 'Chaos' off-roader skin, 'Sarcasm Dance' emote, 10 Arsenal Crates and 5000 Skulls.